The Most Promising Blue-Chip Destination. Bang on the Golf course Road Extention. Easiest connectivity to Delhi- NCR. Cabs, Autos, Metro, Rapid Metro in the Neighbourhoood. 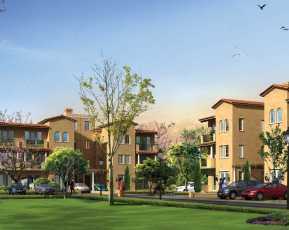 M3M Golf Estate is considered to be a landmark in luxury living on golf course road Gurgaon. 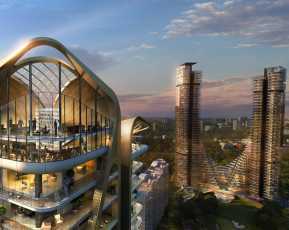 The grand campus of 75 acres is designed by world renowned architecture Arcop. M3M Golf Estate is a perfect blend of environmental friendly landscape and cutting edge design. Its superior architecture gives you finest Golf resort living experience with luxury apartments built around 9-hole in city golf course. 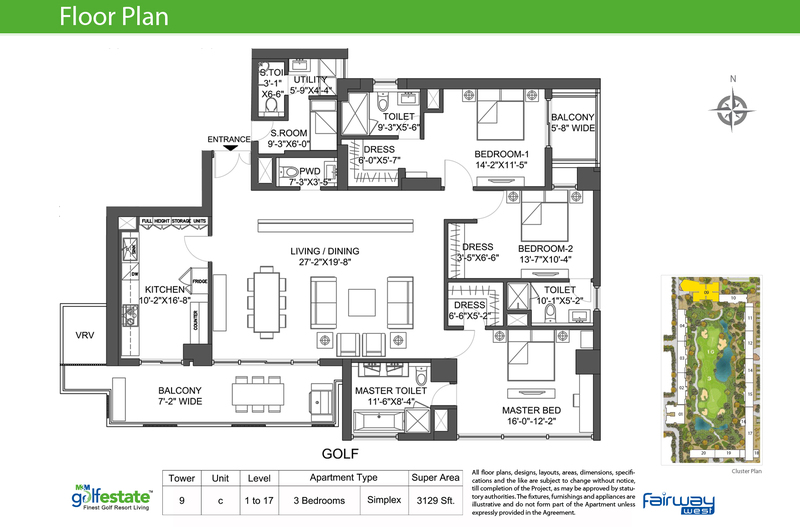 Perfectly planned 3, 4 BHK & Penthouses homes spanning 3500- 11000 Sq. ft. in low, mid and high rise towers with explicit views of exotic water bodies & greenery all around evoke serene living. At M3M Golf estate the exquisite interiors residences are in Sync with the central greens that lends it beauty as well as functionality. M3M Golfestate Gurgaon is emerging as a recreational hub that have 11,612 Sq Mtr clubhouse offering 7 star resort Amenities like a temperature controlled pool, private art gallery, amphitheater and multiple recreational areas. 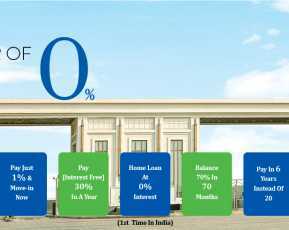 Premium homes are reasonably priced, starting from 4.53 Crores Indian Rupees. M3M Golf Estate Location Advantages: The Residents of M3M Golf Estate will enjoy exceptional connectivity from the city as well as proximity to Delhi as the township is located right off Golf Course Road that has been recently announced as NH 236. From the location, Delhi International Airport is in 30 minutes drive away. The Property in Golf course Road is highly located with retail stores, malls, schools, and colleges, hospitals such as Max, Fortis and Medanta Medicity which acknowledged as the Best hospitals in Delhi NCR. 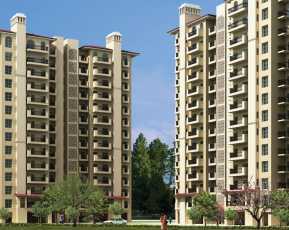 M3M is well known in the Indian Real estate. Empowered by innovative & unique concepts, multi dimensional solutions and unmatched service standards, the company has been able to provide customers with Marvelous residential & commercial projects across the nation and maintain its brand name in the industry. M3M Golf Estate brings you fantastic residential plan to buy your dream home or invest in property in the booming Real Estate market of Gurgaon.